Emed > Chronic Pain > Are You Being Poisoned by Paracetamol? Paracetamol is Poisoning 150 Australians Every Week! (both deliberate and accidental) is alarmingly on the rise. 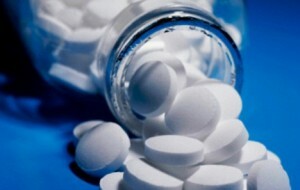 150 Australians are hospitalised weekly due to paracetamol poisoning. This equates to nearly 8,000 Australians yearly! Paracetamol is a common pain reliever and fever reducer that is usually bought over the counter without a prescription. A study released in June 2014 by Professor Andis Graudins of Monash University showed that this pain killing medication is now responsible for one in five deliberate poisoning cases that present to emergency departments Australia wide. The problem seems to have stemmed from the large pack slow release formulations resulting in overdose. Because of this slow release mechanism, initial blood tests may record non- toxic levels of paracetamol in the blood Professor Graudins says. The concentration of paracetamol in the patients system rises later as the modified release mechanism of the medicine kicks in. The problem is that people do not feel immediate pain relief benefits, so they take more thinking that this will improve the pain relief. Paracetamol is currently available in very large pack sizes (96-100 pills). Supermarkets are currently banned from selling pack sizes greater than 21 tablets, however larger packs are widely available in pharmacies across the country. Professor Andis Graudins notes that while restricting pack sizes won’t reduce the number of paracetamol overdoes it may reduce the severity of some overdoses. With those individual’s wishing to self harm, paracetamol is the drug of choice as it is readily available over the counter in large pack sizes at pharmacies. There is only a small difference between the maximum daily dose of paracetamol and an overdose, which can cause liver damage. Large amounts of paracetamol are very dangerous. Most people who overdose on paracetamol tend to present at hospital emergency departments within four to five hours of ingestion Professor Andis Graudin said. However sometimes the effects don’t show until about two to three days after taking the tablets.“It can kill if you take enough and you don’t get the appropriate medical treatment,” Professor Graudins says. Worryingly it is one of the most common medicines taken by young children in an accidental overdose. Paracetamol tablets may have different strengths, the maximum is 500 mg for each tablet.It appears as though poisoning can occur at an acute ingestion of > 150- 200 mg/kg. The recommended safe dose is two tablets every 4 hours but no more than 8 tablets in a 24 hour period. The approximate amount of paracetamol to place you in danger is 10-12 500mg tablets while the range of a lethal overdose appears to be 20-32 500mg tablets taken in short succession. The overdose threshold may be lower in a person taking certain prescription medicines, or a person who is an alcoholic or is seriously undernourished. Other factors such as weight, gender and timeframe are all key factors in the range and extent of overdose. Individuals with paracetamol poisoning commonly present at emergency departments with symptoms including drowsiness, coma, seizures, abdominal pain (particularly in the right upper quadrant), nausea and vomiting. In order to reduce mis-diagnosis experts note that doctors in emergency departments should retest a patients blood four hours after initial presentation to determine if the paracetamol concentration has increased. Unless patients are given an antidote to paracetamol within eight hours of an overdose they risk liver inflammation and can experience liver failure. The management protocol of paracetamol poisoning which occurs in emergency department includes: Activated charcoal 1 g/kg with a co-operative patient who is seen within 1 hour of tablet or capsule ingestion. Activated charcoal is not useful in liquid ingestions due to rapid absorption however. If paracetamol levels are high as seen at (or as soon as possible after) 4 hours post ingestion then this determines the need for N-acetyl cysteine (NAC) administration. NAC works to reduce paracetamol toxicity by replenishing the stores of the antioxidant glutathione. The increased levels of glutathione then react with the toxic metabolites caused by the paracetamol poisoning so that it does not further damage cells and can be safely excreted. Death from paracetamol overdose can take up to five days and is extremely painful as both the liver and kidneys fail, Professor Graudins says. At Emed we believe that there is a better way to manage pain. Natural Medicine and good musculoskeletal medicine can help relieve pain and inflammation without risking the lives of those undergoing treatment.